The Q7-BW is scheduled to be EOLed. 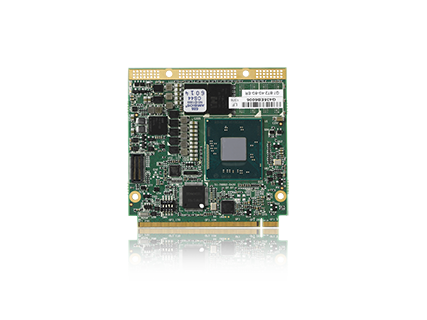 The Q7-BW Computer-On-Module (COM) combines the Qseven® 2.0 standard with the Intel® Pentium® and Celeron® N-3000 series System-on-Chip (SoC), providing an ideal solution for low power consumption and high, pin/area density requirements. 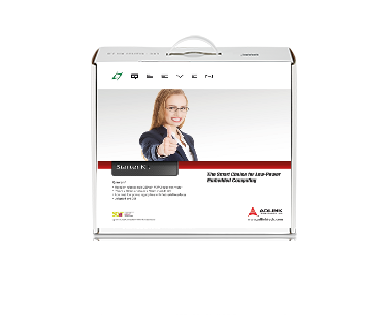 The module provides the high integration, high performance, low power, and ruggedness favored by Internet-of-Things (IoT) applications such as retail transactional clients, digital signage, and in-vehicle infotainment systems. 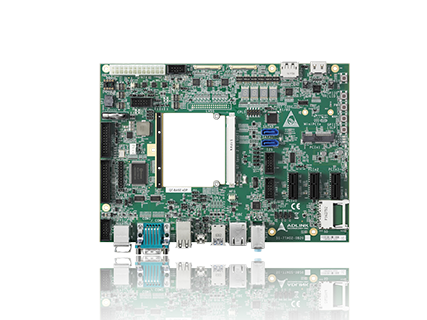 The Qseven form factor affords a more compact profile and footprint than the other COM platforms. 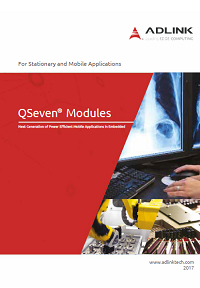 Mechanical dimensions of 70mm width and 70mm length with 2.3mm of overall height ranks Qseven as the smallest COM standard currently available. 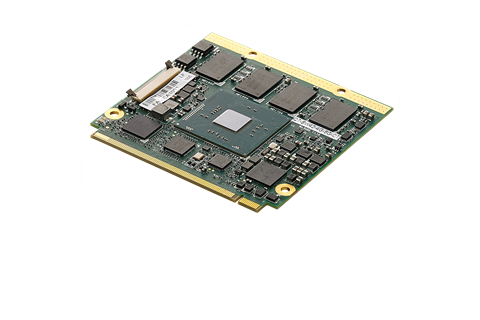 The Q7-BW module utilizes the Intel N3000 series SoC, which is based on the new Intel Architecture and is manufactured on Intel's industry-leading, tri-gate 14nm process. 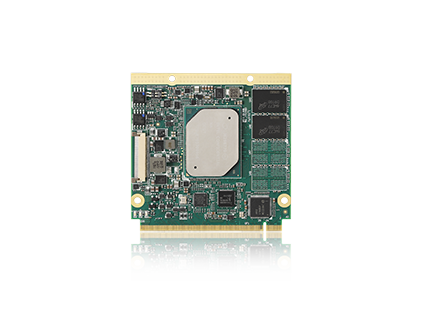 The module primarily targets entry-level 2-in-1 devices, laptops, desktops, and all-in-one PCs and supports contemporary, high-bandwidth interfaces such as Ultra HD HDMI, PCI Express Gen2, Gigabit Ethernet, USB 3.0, SATA Gen3, and a state-of-the-art HD Audio interface. 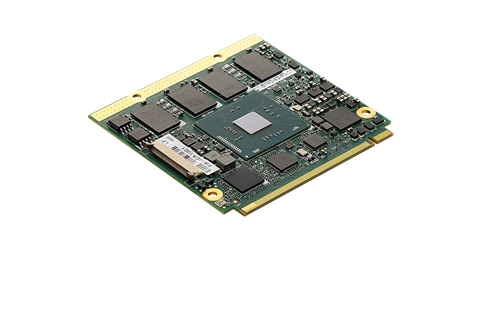 The module generates its own LVDS (18/24bit), TMDS, and Display Port video signals using DDI output from the SoC. 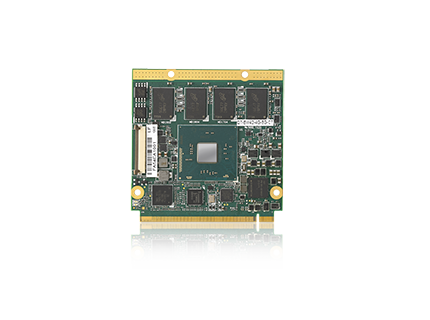 A series of optional eMMC devices offers up to 64GB of on-board NAND Flash storage with an MMC interface, and an optional SATA, Solid State Drive (SSD) provides up to 64GB of on-board NAND Flash storage. Two SPI Flash chips implement a fail-safe BIOS, allowing the user to boot the module even if current BIOS settings have corrupted the system. 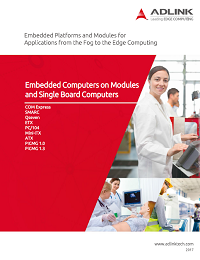 Under the management of the BMC chip (Board Management Controller), the SEMA utility (Smart Embedded Management Agent) provides system control, security, and failure protection—counting, monitoring, and measuring hardware and software events, and using the SMBus to send corrective commands to the SoC. The optional SEMA Cloud utility not only controls local events on the module but system client events on the IoT.